Returning to Los Angeles for the second annual event, MTO Sufi Association is presenting "Sufi Celebration" at USC. 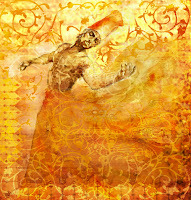 This year's program, "The Hidden Angles of Life" features the exuberant and uplifting Sufi chanting called Zikr, demonstrations of Movazeneh - the practice of harmonizing and balancing the body, as well as captivating speeches on Sufism and its manifestations in the arts and sciences, and inspiring poetry renderings. A celebration of Music, Poetry, Meditation - presentations on Sufism and more. Open for all, welcoming all. [>] For details and ticket info pls visit here.